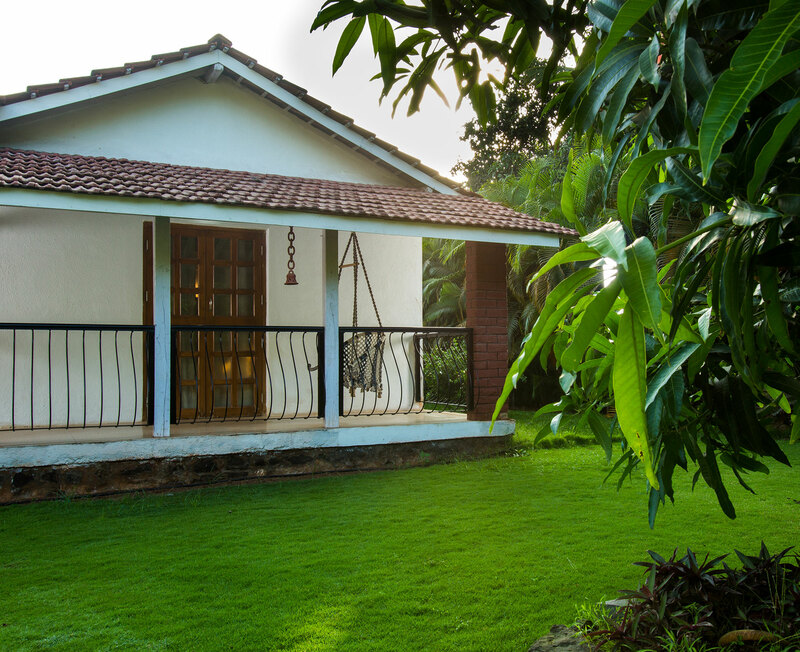 Sidz Cottage located in Nagaon village is 6 kilometres from proper Alibag city. 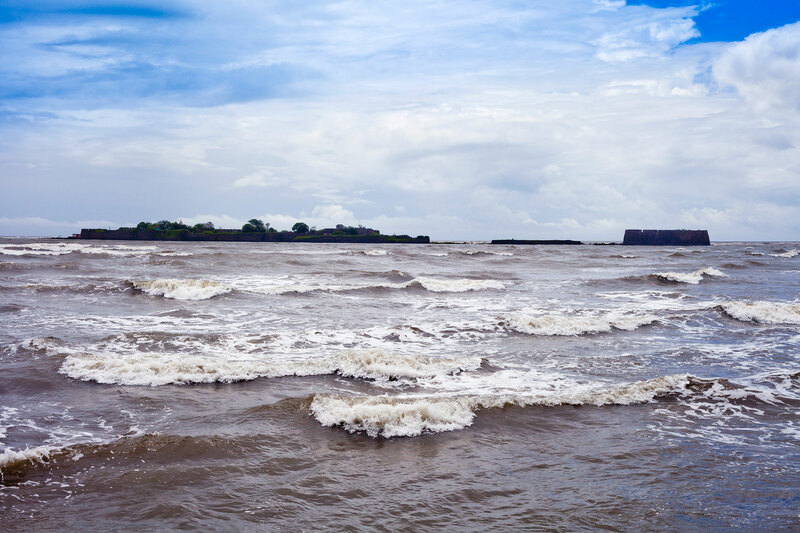 Alibag is a serene town on the west coast of India not far from Mumbai. 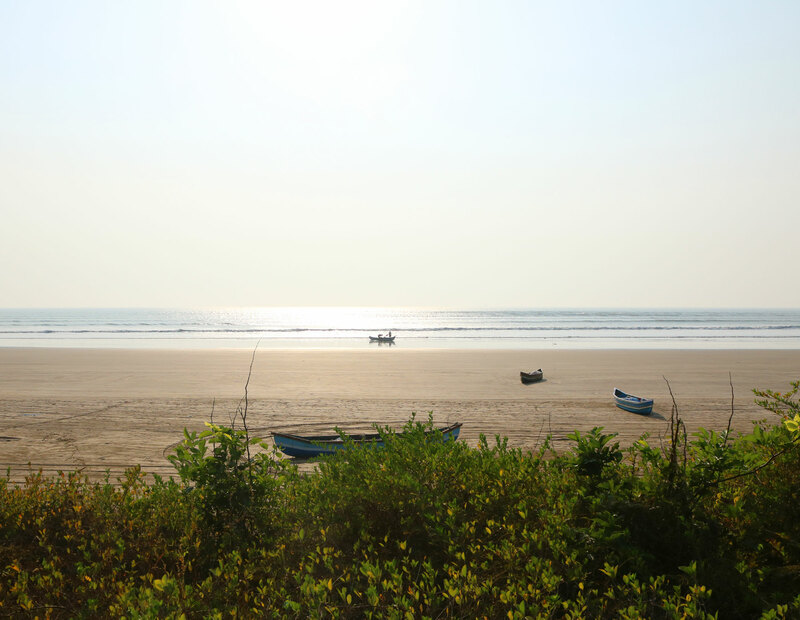 Alibag, by road, is a three-hour drive from Mumbai on a scenic stretch. 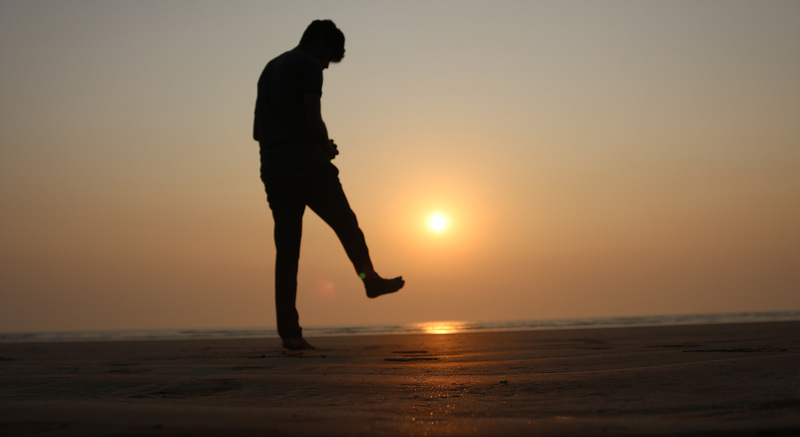 Alibag is also surrounded by a group of smaller villages each with its own lovely beach. One of those villages is the Nagaon village in which our cottage stands. 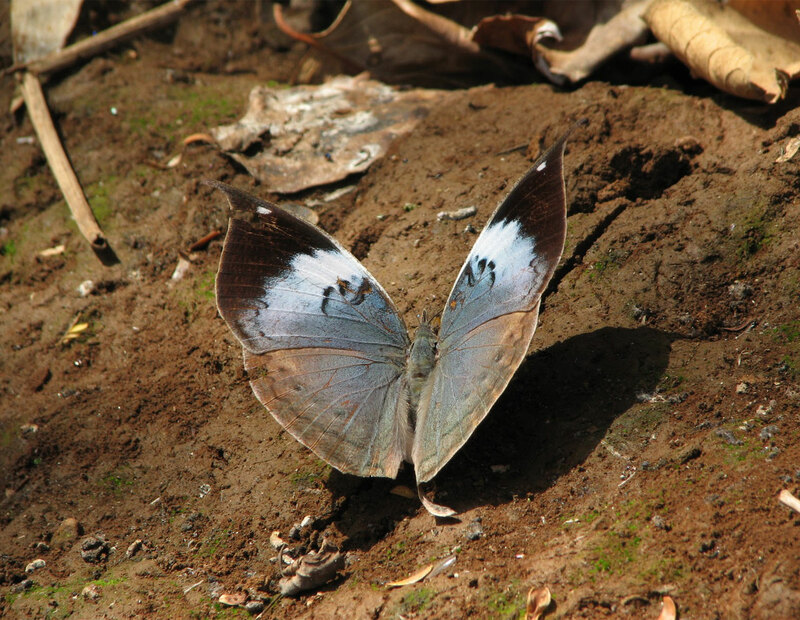 Experience the 'Heaven on Earth' by visiting our cottage in Nagaon. 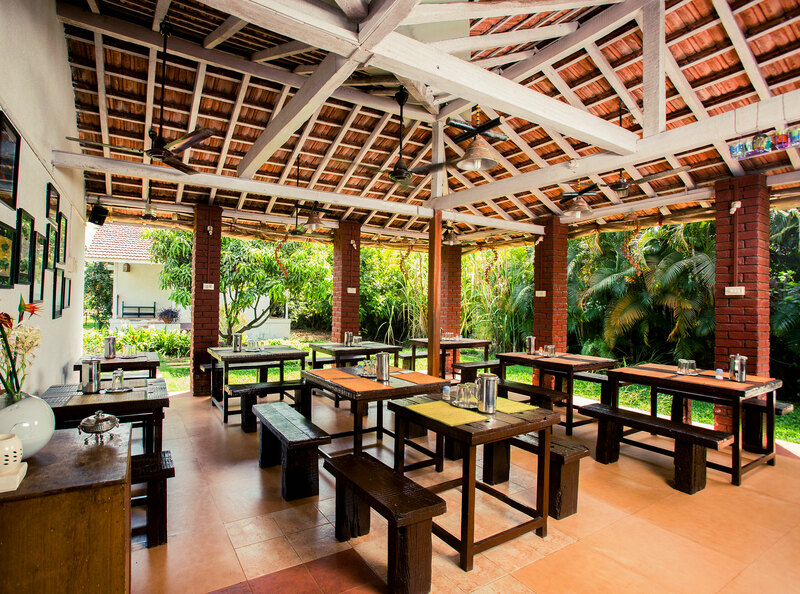 Built as a comfortable home away from home, our cottages in Alibuag near Beach are equipped with modern fittings and also available is authentic delicious malvani cuisine catered to your needs, both vegetarian and non-vegetarian. 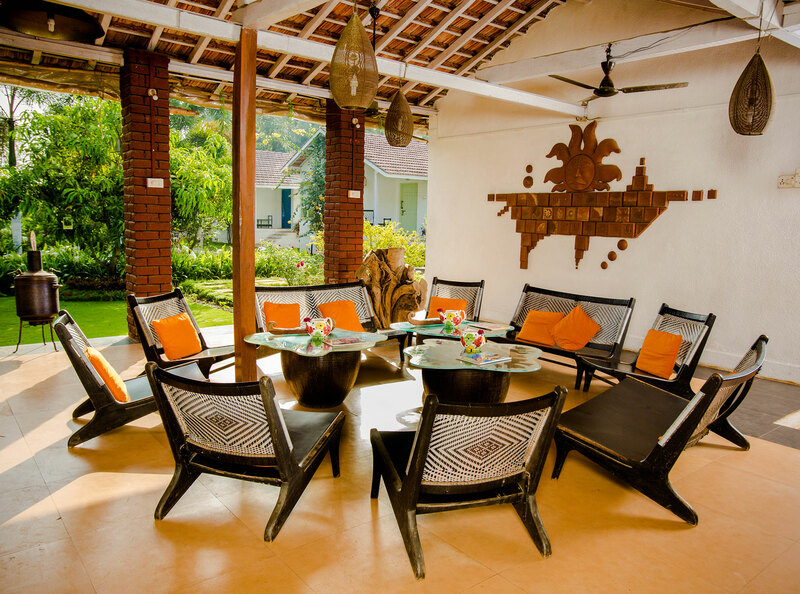 So come aboard the Konkan adventure, savour the real taste of the coastal belt with SIDZ COTTAGE! 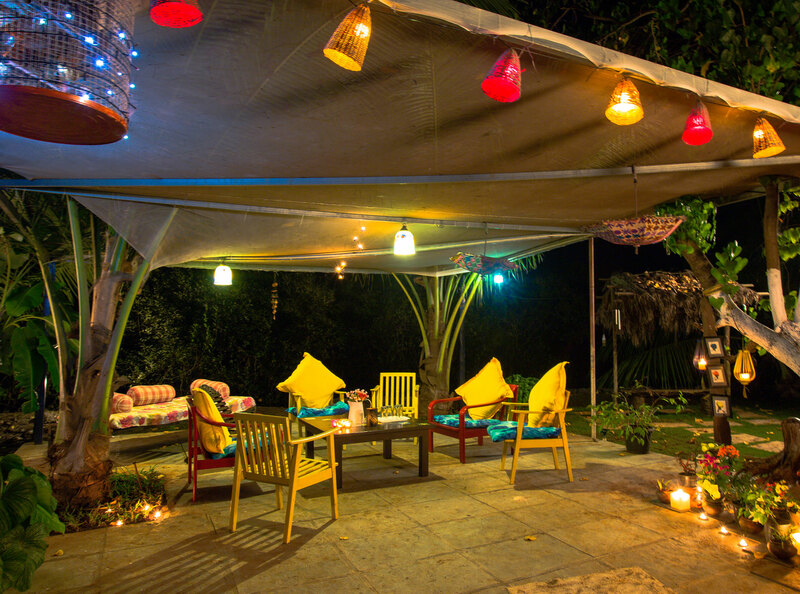 Sidz Bungalow is a spacious modern bungalow with its personal garden and lawn. Large bedrooms can easily fit a family of four in each and the entire bungalow can easily accommodate a group of 8-10 guests. Both the bedrooms are air conditioned and there is a common dining and living room. Sidz Village is comprised of three separate cottages under one common roof. Spacious open dining space and sitting lounge makes this boarding arrangement perfect for joint families or even couples group. All three can easily fit a normal family of four and are air conditioned. 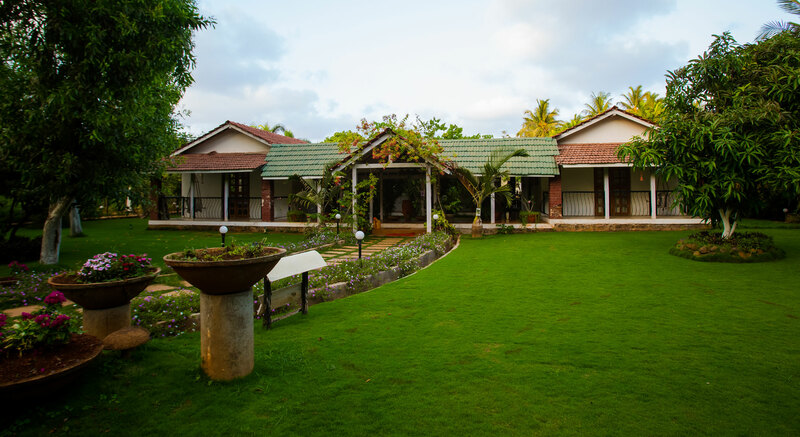 Finished off with surrounding flowering garden and lush green lawns, sidz village gives you an authentic village experience with tasty konkani food as an add-on. Sidz Villa is nothing short of a perfect romantic getaway for adventurous couples. 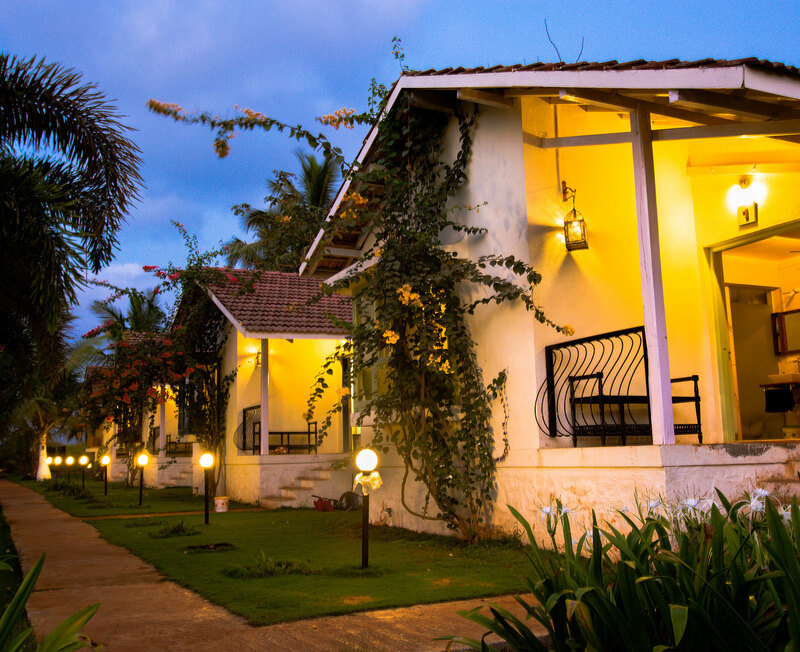 These villas are designed to accommodate couples with all modern amenities. Aesthetically designed, each of these greek inspired cottages have ample space to relax and rejuvenate. Bay windows invites you to cozily tuck yourself against a pillow and read an interesting book or a novel in the silent afternoons of nagaon. Starting at 4500/- + 810/- GST. 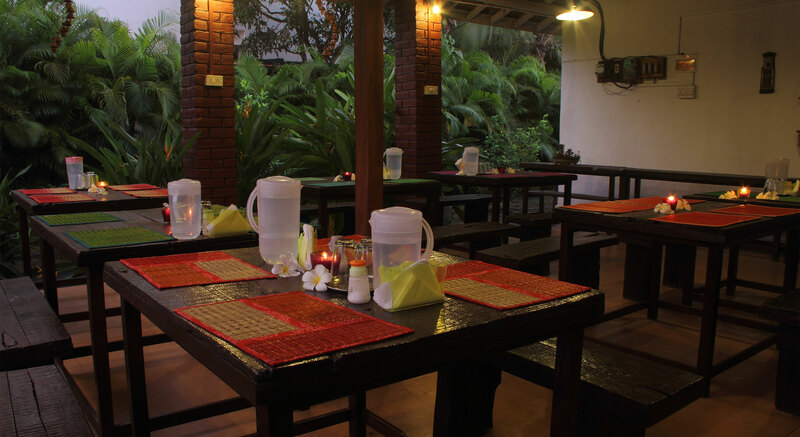 We offer an economical place to stay for visitors to Nagaon, Alibag in a peaceful and clean environment along with extremely tasty and healthy authentic regional food. 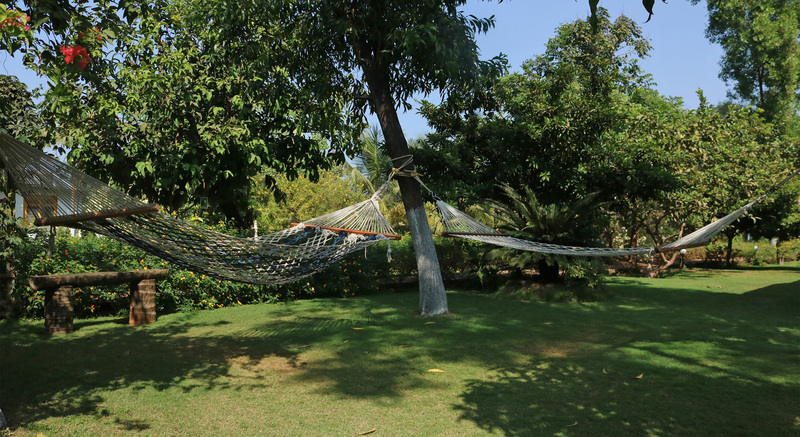 Do enjoy your stay with us by making your way to any of our designated areas that relax and rejuvenate your soul. Konkan food has slowly been gaining in popularity with speciality restaurants catering to a devoted following for this distinct cuisine. Watch your food repertoire undergo a flavoursome sea change with the sourness of kokum and the aroma of triphal. Sip Solkadhi for the soul. 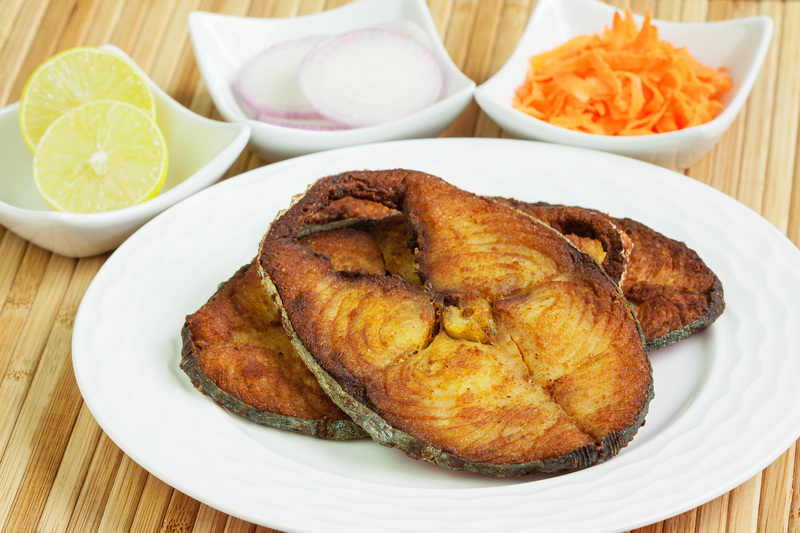 Try the crisp Bombil fry, Prawn sukkha or the Pomfret fry. There is enough fare for vegetarians also with dishes like Stuffed Brinjals (Bharli Vangi) and Ladies finger masala (Bhendi Masala) or the Besan Tikha (Jhunka bhakar). Sidz Cottage is one of the best cottages in Alibuag providing food with top-notch quality, complementing your taste buds. Get your day off to the best possible start with our tasty buffet breakfast, served in our quiet courtyard as you bask in the pleasant early morning sunshine, or in the warm glow of our innovative lamps lit in the evenings. Every inch, every feature, and every facet is specially designed to create the most relaxing lounge experience. The focus is on perfecting every moment that you spend with family or friends. Sidz Lounge is perfect for those who enjoy the finer things in life and want to make the most out of every moment. Here you get to celebrate get-to-gethers, parties, meditation/yoga sessions, after meal chats. A perfect community sit down open hall! 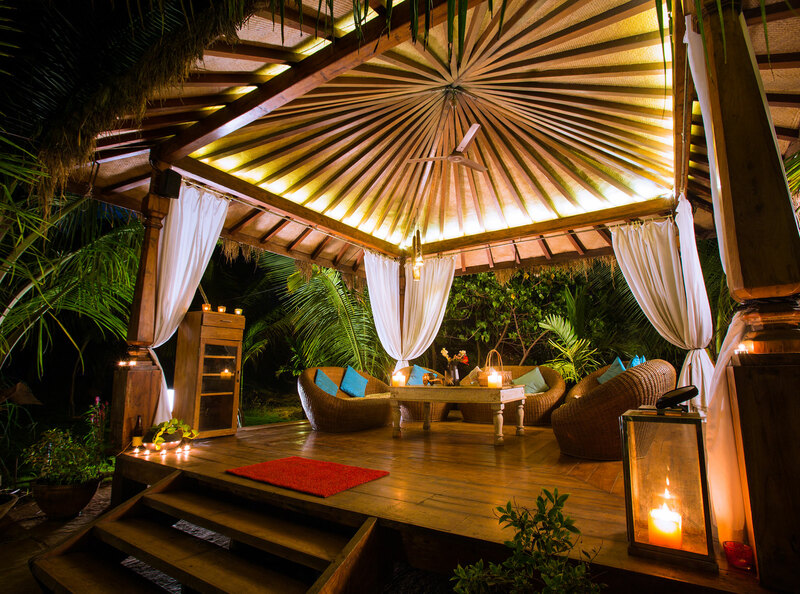 The Gazebo makes for a perfect setting for an evening full of soothing music and some exotic time spent with loved ones. It gives you that perfect tropical paradise experience you craved for. A perfect place to enjoy the morning/evening cup of chai with cool breeze from the creek behind running through your hair. Humans explore because of an innate desire to learn the world around them. Travelling and exploring new places have many great benefits in terms of life experience. 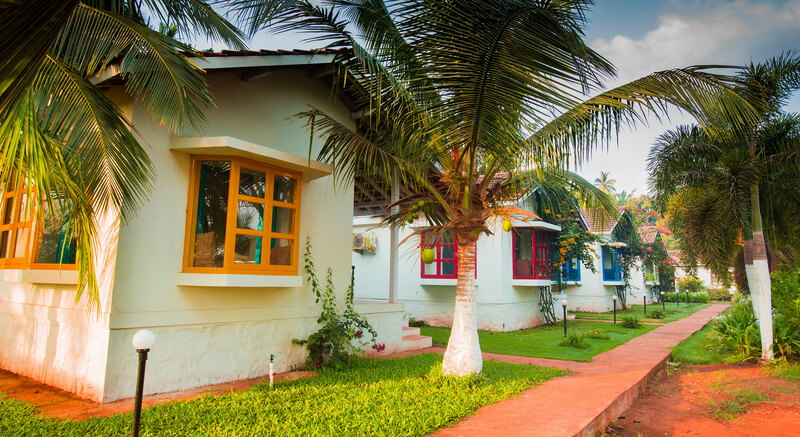 Due to increased tourism, the number of Resorts and Cottages in Alibaug have gone up, providing wider options to enjoy their stay. It is exciting to see new places and to experience the beauty, food and people of different regions. Alibuag is one of the regions of Konkan where there is a lot of history and this history has left its foot prints back for us to experience it. Alibuag cottages near beach are most sought after for the extraordinarily beautiful view. Do explore these places and re-visit the era where kings and warriors carved stories of determination and valor. The forts and tomb stones in Alibag narrate a story.. listen to it and know all about our ancestors. It is located 1km across from Alibag beach. 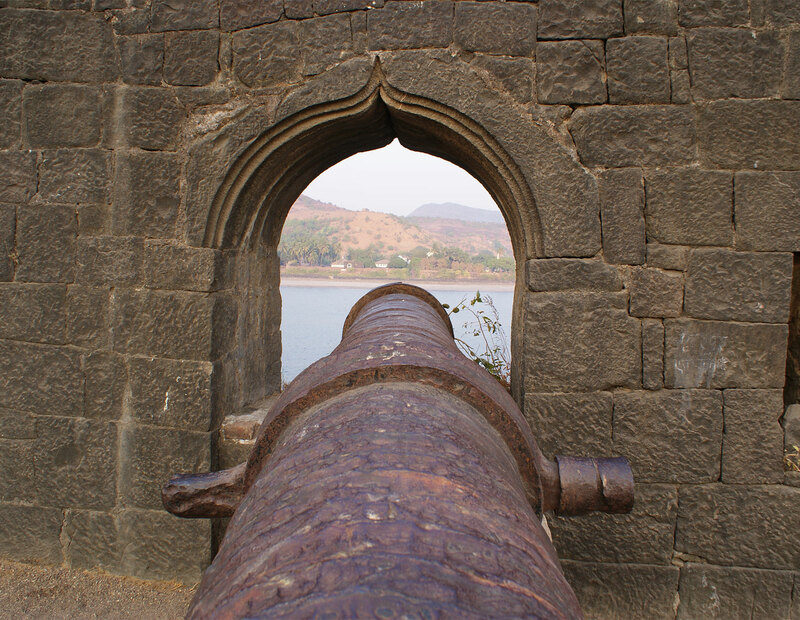 The Great Maratha-warrior Shivaji started the construction of this sea fort in 1680 A.D. The fort is 900 ft. long, 350 ft. wide and has 25 ft. high walls which have 17 bastions (burj) on all sides. The fort has been standing for over 300 years. 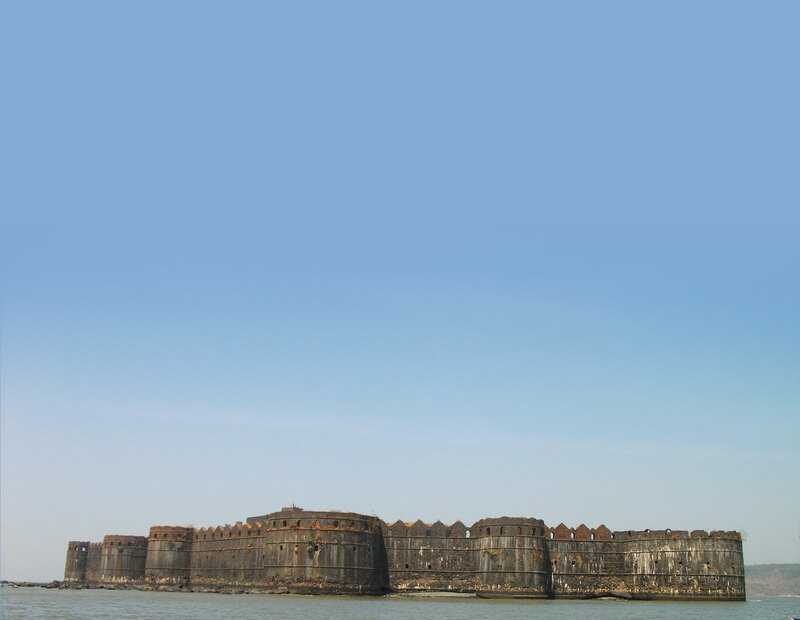 The fort can only be accessed during low tide through a narrow strip of land which goes underwater during high tide. The huge front entrance arch has tigers, peacocks, elephants sculpted on it. Beyond that comes another small gate. Next to that gate are the shrines of Mahishasura and Padmavathi, Kanifnath, Sri Ganesh and the fort-deity. Next to them comes the sourthern gate which is variously known as Darya/Yeshwant Darwaja. Raghoji Angre built a beautiful temple of Shri Ganesh in front of the sweet water tank in 1759. The inner sanctum includes images of Sri Ashtabhuja Devi, Shiv, Vishnu and Surya. The collection of the pantheon lends it the name 'Shri Ganesh Panchayatan'. Within the premises, you will find a well and a tank of sweet water in the midst of sea! 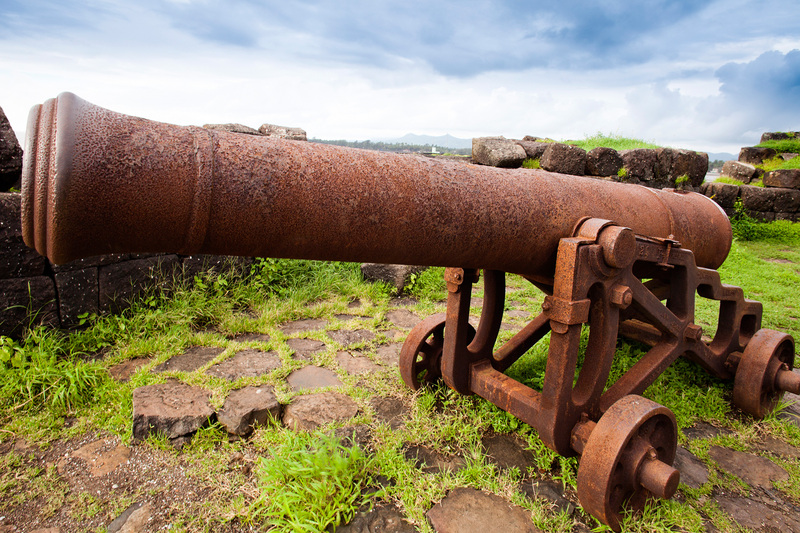 On one of the 17 bastions, two cannons in intact condition can be seen. The Archaeological Survey of India charges a token entry Fee for the visitors. 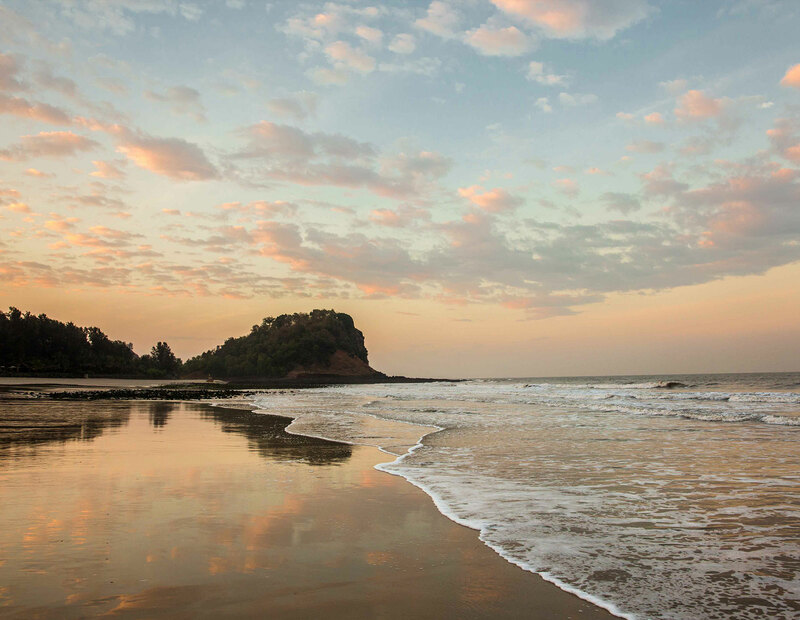 The famous Kashid beach is located 18kms from Murud. The specialty of this beach is the beautiful slivery white sand. Literally dazzling silver on this clean beach. It's a favorite spot for advertising, TV serial and film shoots. The beach is complete with small-food stalls. If you are travelling from Alibag to Murud, the last U-turn in the Ghat section of the road that descends on the Kashid beach is simply mesmerizing! 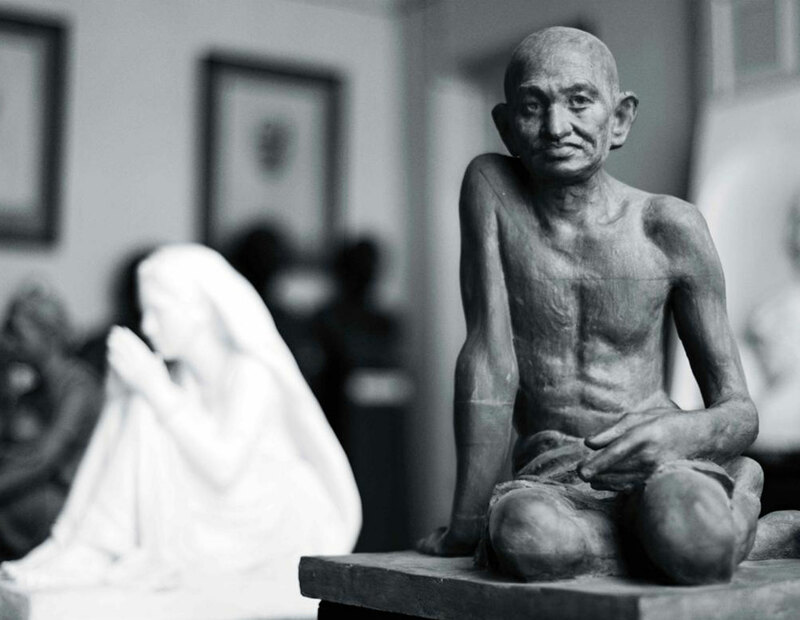 8kms from Alibag on Alibag Rewas Road, 150 works of art of the famous sculptor Late Mr. Nanasaheb Karmarkar are displayed in his own bungalow. The exhibition is open the whole day, all days of a week and a small entry fee is charged per head. Filming of the sculptures on camera is charged. Before Nandgaon, on way to Murud comes Borli village, 7kms to the left is this 'Game' reserved forest for the erstwhile Nawab of Murud. Today, this is a Government Sanctuary for rabbits, wolves, tigers etc. There is an information center, an exhibition, trekking facilities are made available by the government near Supegaon. These facilities are approachable on Murud-Roha road via. Supegaon at Usroli, 7kms from Murud. It's very calm & relaxing place.. good service with testy food.. want to come again & again..the only thing missing is swimming pool.. 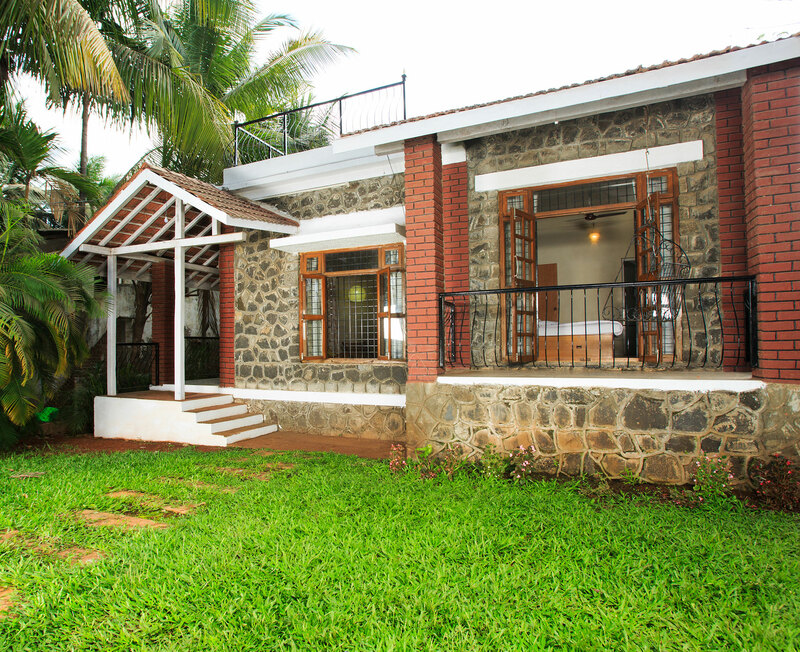 Visited Sidz cottage on 22nd Oct 2014 with my family and it was a truly fantabulous stay. We spent 3 Nights in bungalow and honestly Sidz cottage is a very homely place to stay in with natural environment. Rooms are really beautiful, clean and spacious with very good interior. Entire property is surrounded by greenery & plantations which is very well maintained by the team. The care-taker Mr. Sanket Sawant is a gem of entire team and is very Courteous, Soft Spoken & Cooperative. We have never experienced such kind of Hospitality and Discipline which is beyond anyone�s imagination. The entire staffs are very polite & will help you with anything that you need. It was our privilege to meet the owner Mr. Sushil Jadhav & his wife on our entire stay, who were totally involved in the daily operations at the resort & would be eager to help if needed, which is really appreciated. Overall its been one of our best holiday experiences out of the many we have done. Definitely recommended for people who like quiet place with nature to enjoy with. Beautiful place, the more time you spend, the less it is. Amazing hospitality, appreciate the ambience and everything. Visited Sidz Cottage on May 2015 with Friends and family. Like the interior of room in which we stayed. Specially love the garden which has so many variety of plants. Thanks for the Turmeric plant. Good hospitality. Must visit to refresh and rejuvenate. Nice well maintained garden.. Airy gazebos which are perfect chit chat with friends. Clean rooms, pool table and best of all .. Amazing food. The best part of this resort is that it is pet friendly. Good resort. Peaceful ambience. Great service and excellent food. Well Done!!!!!! Keep it up Sidz Cottage...........And a Very Big THANK YOU for your Great Hospitality. We would love to hear from you. Do drop us a line.